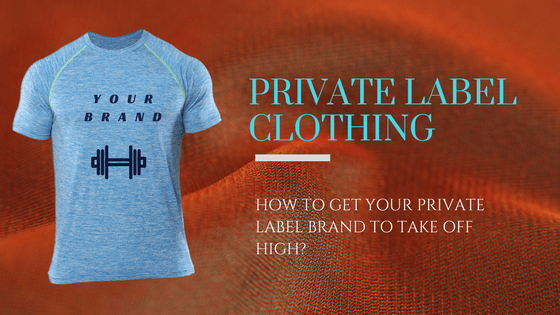 Starting a private label clothing brand is one of the best business ventures right now, but you might not always get the response that you hoped for. However, there is no need to panic about it or lose your heart! If it’s not working as you wanted, maybe it is time for some introspection. First, you need to check if the clothing retail you started has all of the new trends available for your customers. Focusing on fitness and athleisure styles would be a good start. It is being followed by celebs all over the world, from airport looks to shopping excursions; and everyone is indulging themselves in the trend! This apparel is quite versatile and comfortable, which makes it a favorite among athleisure enthusiasts. It’s unisex and easy-to-carry appeal brings out the best in every person’s casual wardrobe from gym vests to fitted t-shirts paired on top. Joggers are available in many colors and designs which include fit, stripes, and material. To the man or woman who is interested in fitness fashion, this one is an absolute basic. Since most athleisure folks actually care a lot about keeping themselves healthy, fitted tees are a fashion staple for them. From blank and baseball, to sublimated and vari designed, these are a must have for any private label gym clothing retailer. Sports shoes or sneakers are what complete any athleisure look and give it a universal appeal. Today, sneakers are available in any design or color you can think of, and it just makes people all the more excited. Plus, like most other sections of the athleisure style, everything has multiple utility. One could wear it outside for style or go to the gym wearing it for a workout. It’s absolutely flexible for customers. No fashion style is complete without a set of accessories. And, athleisure also needs accessories too; from sports wrist bands to tennis hats, duffel bags to neon printed headbands, it’s all a necessity for private label gym wear retailers who want to kick start their business. If you as a private label owner start picking up on these items, then be ready to be surprised when you venture sky rocket. It’s a good thing to bet on, and probably what your business needs to be on the right track. Copyright © 2019/04/21 and 12:53:22pm Gym Clothes. All Rights Reserved.